Filing for Social Security Disability Benefits in Tampa can be a trying task. Nothing is written in stone. There have been times where we’ve seen people who are rapidly declining get repeatedly denied their benefits. Often times, and sadly, it is the case where the Florida DDS has simply rendered the wrong decision to a claimant’s case. This is distressing. As certified Social Security advocates here in Tampa, we at Disability Experts of Florida believe that it is our duty to assist those in need. We believe that this is a question of values and, because of that, we fight for our clients every step of the way. Everyone deserves a good quality of life. There are cases where these conditions are made worse because a claimant makes the decision to go it alone. He or she does so without understanding what SSA case evaluators, vocational experts and disability examiners are looking for. It’s to your clear advantage as a potential or current claimant to seek an experienced and savvy Social Security advocate here in Tampa to assist getting the benefits you need and deserve. Do not leave your quality of life up to the Social Security Administration! 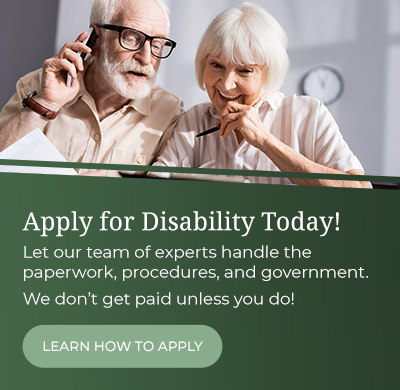 Let the certified advocates at Disability Experts of Florida work your Tampa SSDI case for you! If you live in Tampa or believe you qualify for Social Security Disability (SSD) or Supplemental Security Income (SSI), you should seek exceptional, knowledgeable and experienced representation to help you secure your rightful benefits. Dealing with the Social Security Administration (SSA) can be a difficult, complex and ultimately a frustrating experience which often causes deserving recipients to give up. Do not give up on the benefits to which you are entitled! Remember, SSI and SSD are social safety nets designed to help you in your time of need. The representatives of Disability Experts of Florida are accredited by the National Association of Disability Representatives (NADR). What Types Of Social Security Benefits Can Tampa Veteran’s Receive? Military service members can receive expedited processing of disability claims from Social Security. Benefits available through Social Security are different than those from the Department of Veterans Affairs and require a separate application. To answer any questions you might have as a veteran, please contact Disability Experts of Florida today. Our veterans deserve the best care available. It’s part of our mission here to assist veterans in rapidly receiving SSI and SSD in Tampa.